Law schools welcome those with engineering and science majors. A scientific or technical background is helpful for lawyers specializing in patent law. If you’re planning on applying for law school after gaining your science or engineering degree, make sure you enroll in courses that train students to think analytically and require lots of writing. Use elective opportunities to gain strong writing and reading skills. Minimize classes that grade on a pass/fail basis. Save law classes for law school, instead, acquire a broad education during the undergraduate years. Studying abroad and learning a foreign language are wonderful pursuits since the law increasingly deals with global concerns. Being able to communicate in a foreign language can be very valuable. Consider an honors thesis in the field of engineering or science if eligible. You will graduate with Latin honors and have the opportunity to work with a faculty member to conduct research and create an important piece of writing. The Law School Admissions Council coordinates and facilitates the law school admission process. The corporation oversees the Law School Data Assembly and the Law School Admissions Test. The LSAT is given four times each year and is a requirement for admission into ABA-approved law schools. Law school admissions officers place high importance on LSAT scores. There are five 35-minute sections on the test. A reading comprehension, analytical thinking, two logical reasoning, and an ‘experimental’ section make up the test. A writing sample is also part of the test. Make sure you carefully prepare for the exam and plan to take it only once. Give it your best attempt and take lots of practice tests. There is no better resource than previous exams to prepare for the LSAT. Practice under realistic, timed conditions. If you plan to apply to law school in your senior year, the summer after your junior year is the best time to take the test for a score that will be used. You will receive your score before summer’s end. Early in the fall, a realistic list of schools to apply to can be created. A second option is to take the test in the fall of your senior year. Results will still be available so that an application can be filed before the deadline. The last opportunity to take the LSAT, if you plan to apply as a senior, is December. If you plan to pursue other interests or work between college and law school, the test can be put off for a bit. LSDAS prepares academic records for law schools to which you apply. Nearly all schools require registration with LSDAS and there is a separate fee over and above the LSAT fee to register. The law schools contact LSDAS for the report. You indicate how many reports you want to pay for that will be sent. Time to gain maturity, self-confidence, and experience. Become more confident about becoming a lawyer and law school. Desire to have senior grades included in the calculation of GPA. Full-time experience may impress legal employers. Earn money to pay for law school. Others go directly to law school because they are positive they want to become lawyers. Some believe they will lose academic momentum if they wait while others wish to postpone repaying education loans. Seniors typically apply to multiple law schools. Choose a couple of “safe” schools where the chances of admission are 75 percent or better, two or three that appear reasonable, and a couple where the odds of acceptance are less than 30 percent. When you complete the application, proofread everything carefully. The LSACD allows applications to be completed on personal computers and printed or sent electronically. Make sure to follow all instructions and leave no blanks. Put “not applicable” in any space that does not pertain to you. 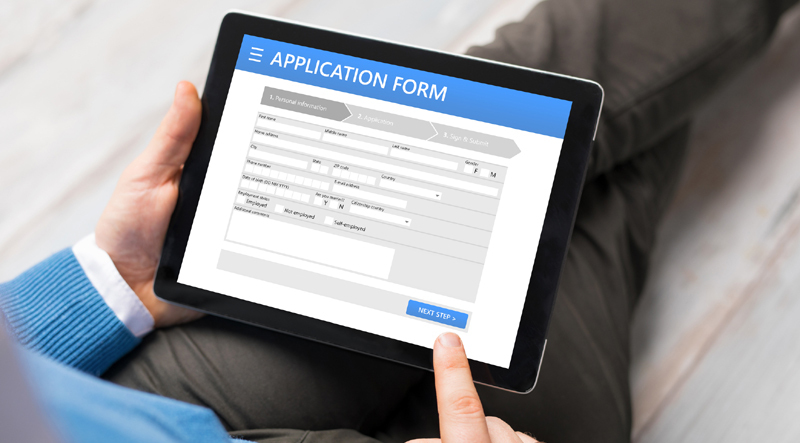 Be sure to understand all aspects of the application before signing. Tailor any answers to questions seeking a written statement to the questions since the same response may not suffice for every school. Disclose any convictions, arrests, discipline problems, or academic problems that the application seeks. These incidents do not automatically bar admission to law school. Schools look for responsibility taken and response to negative consequences. Undisclosed information may be caught somewhere else in the process of applying that triggers a misconduct inquiry. Talk to a pre-law advisor about any questions you have about the application. Include a resume that outlines academic accomplishments, work experience, other competencies, and activities. Do not answer questions on the application by asking to refer to the resume. Apply early. It is an advantage to have an application read as soon as possible. There are law schools that offer early decisions and notifications. Complete applications by Thanksgiving so that your application is considered while seats in the class are available. The only section that you control entirely is the personal statement. It is your opportunity to distinguish your application from others the committee reviews. Write what you would tell the committee in a ten-minute interview. Letters of recommendation make a positive difference if LSAT and CPA scores are average among the group applying to a law school. Ask faculty members who know you well for letters of recommendation. Things contained in letters of recommendation that impress committees include intellectual capacity details, writing skills, motivation, and overall academic experience. Enhance your chances of getting detailed letters by participating in class and using office hours to address material not fully understood. Legal delivery is becoming data and tech-driven while new skill sets are required. An engineering or science background is necessary for new legal industry positions. There is an acute need for engineer and science-trained professionals that offer enormous opportunities. Many legal startups are founded by millennial lawyers with science and engineering backgrounds. Students with such backgrounds have an opportunity to be part of a huge industry transformation and gain a share of the market. There are many other options as well including becoming a patent agent or patent attorney and helping inventors patent their inventions.